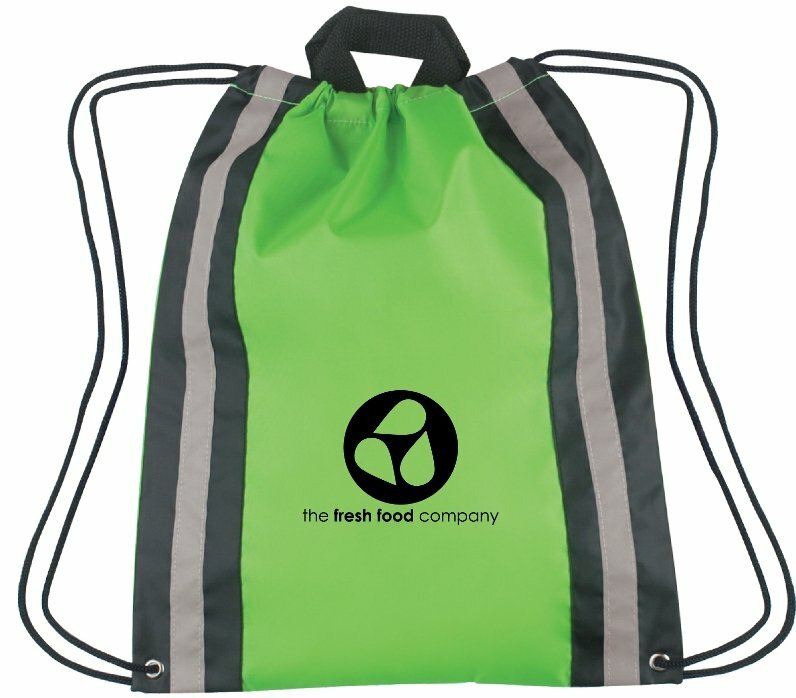 Full size, full function quality drawstring backpack holds a bunch at a low cost for promotions. Dual reflective stripes add a measure of safety in a larger imprinted drawstring backpack. Academies, magnet schools, sports related events all benefit and as printed logo items. Features 210 Denier Polyester construction, right & left backside reflective stripes. metal grommets reinforce the dual drawstrings and double web carry handles. The Large Reflective Drawstring Backpack is a hefty 16" wide x 20" high. Price includes a one color imprint on front in area 6" w x 9" h.